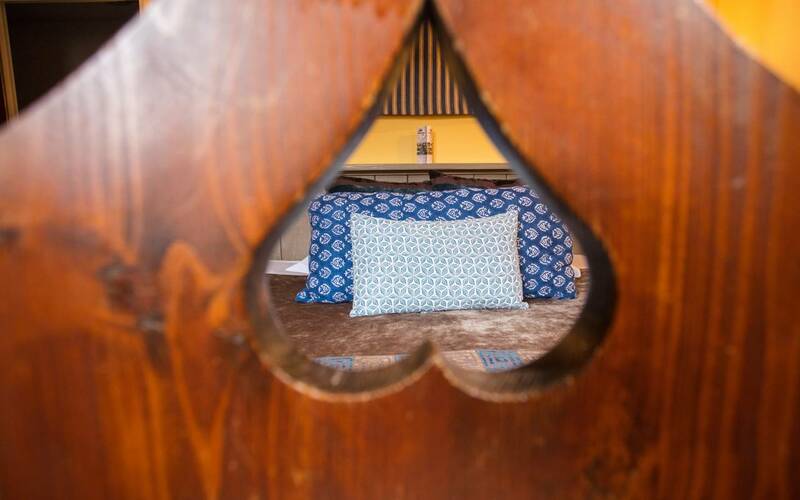 6 Small rooms, medieval decoration, bathroom on suite (shower), toilet, hair dryer, beauty set, safe. Overlooking the court yard or the park. Two nights for two couples, including one restaurant meal. 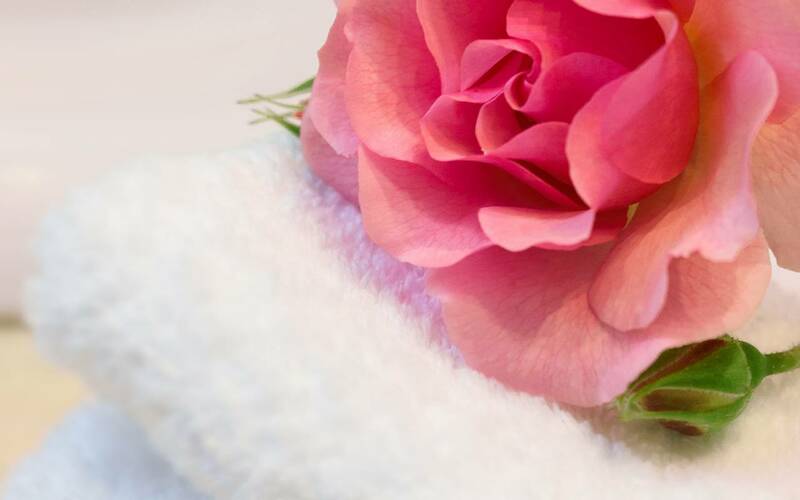 Sumptuous rooms with all facilities - special touch of honey soap! Brilliant welcome and care: the owner took our friend, in his wet swimming shorts, in her Merc, to buy some painkillers from the chemist and lent him 20 euros for the purpose - how's that for quality service. Very high quality in all ways: expensive, but superb, so no quibble. From 188 EUR per pers.
. 8 days and more prior the arrival : the deposit is returned.
. For all stays of 3 nights and more : cancellation made less than 8 days, the deposit is not refundable.
. For all reservations made by credit card less than 72 hours before the arrival, the first night will be charged.
. 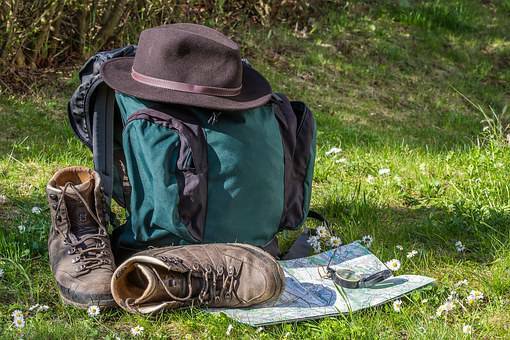 The « non refundable » rate is not refundable and not possible to be cancelled or modified. The prices are VAT included. City tax will be an extra charge. Your room will be available from 03:00pm to 10:30pm. Our reception opens until 10:30pm. Should you arrived after this time, please give advance notice. The day of your departure, check out time is 12:00am. One extra night will be charged, should you not respect this time limit. 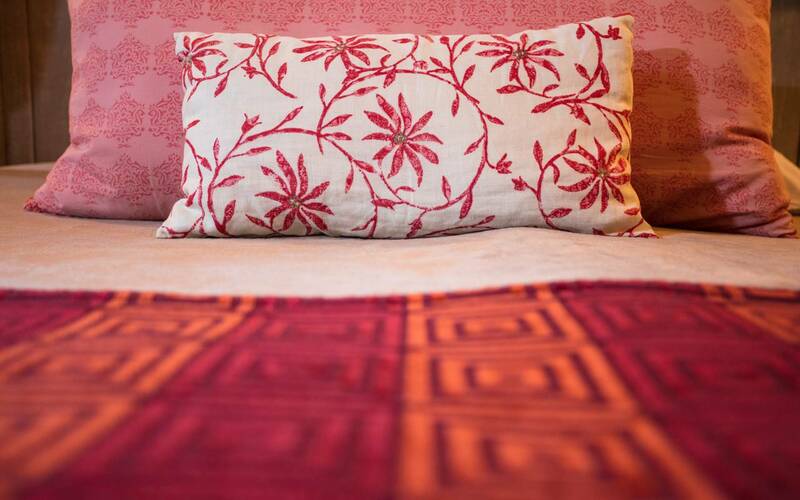 13 double or twin bedded rooms, medieval decoration, bathroom on suite (bath tub or shower), toilet, hair dryer, beauty set, safe. This hotel was created from a chateau, so there are a lot of stairs to navigate, but if that's no problem, it's quite a charming place to stay. (Staff will carry bags to your room). Unless it's raining, the excellent dinner is served in the inner courtyard, under the stars. I was with a tour, so it might be less fun solo. My room was quite large with all the facilities I needed, though it did take a search to locate the air conditioning control. Buffet breakfast is very good, with attentive staff to help you find things. Their site reports that weather damage has knocked them out of business until next April. 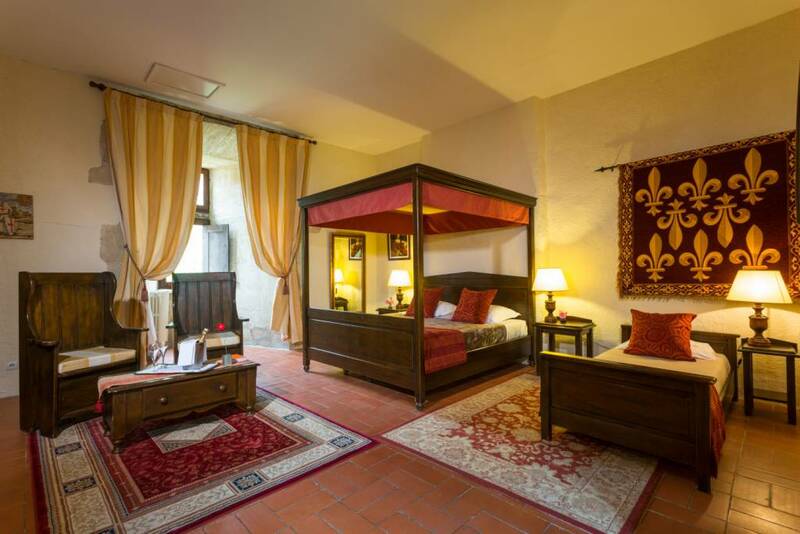 2 Large room - duplex, medieval decoration, bathroom on suite (bath tub), toilet, hair dryer, beauty set, safe. What a stunning chateau and amazing place. From the amazing welcome to the beautiful room. We loved our fleeting stay here. The courtyard is a stunning setting to enjoy some drinks on a warm summer afternoon and then an amazing meal that evening with incredibly help staff who made us feel at home. 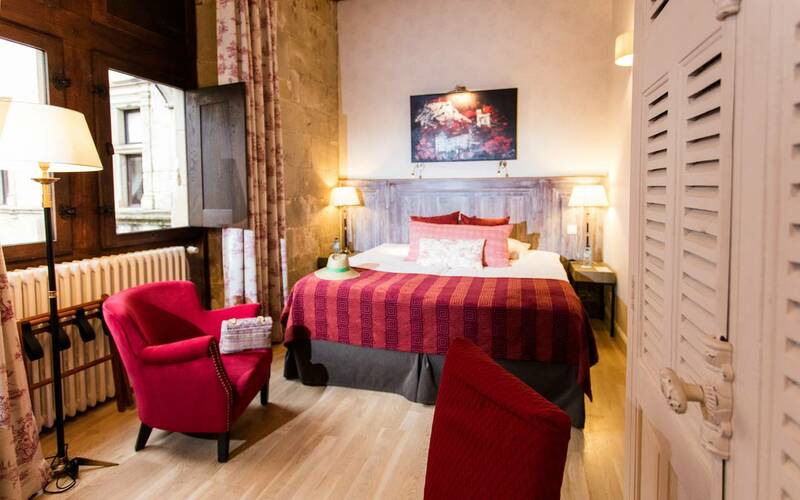 4 Large rooms, medieval decoration, bathroom on suite (bath tub), toilet, hair dryer, beauty set, scale, magnifying mirror, bathrobe and slippers, safe; some of them can welcome a 3rd person. Overlooking the park or the river. Birthday treat one night of heaven!! We stayed for one night at this charming chateau. Service and attention to detail just lovely. Both our lunch and evening meal superb, both eaten in th interior court yard with soft ambient lighting at night accompanied by a harpist playing in the background, very romantic place to spend a birthday. 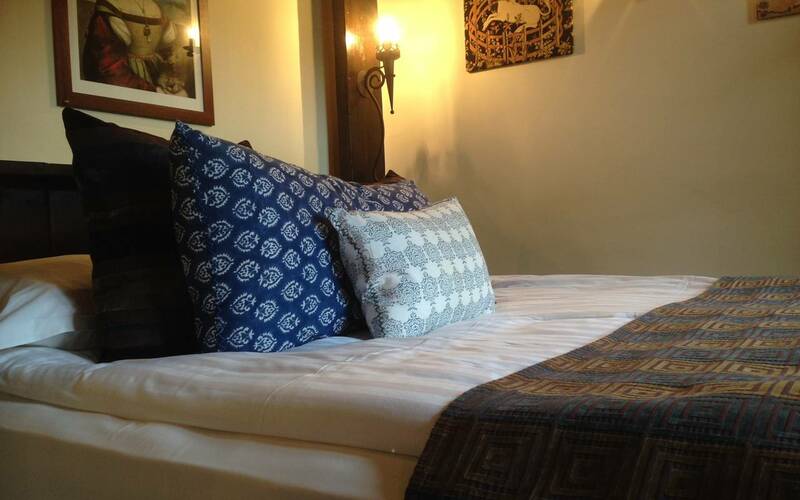 Our room was very comfortable, well appointed and beautifully presented. We finished our stay with a delicious breakfast and a few pounds heavier!!! 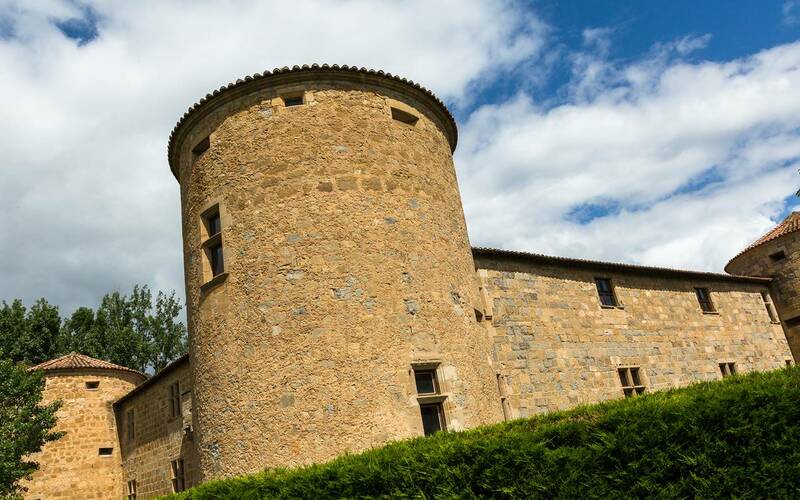 7 Large rooms, medieval decoration, located in one of the towers of the castle, bathroom on suite (bath tub), toilet, hair dryer, beauty set, scale, magnifying mirror, bathrobe and slippers, safe; some of them can welcome a 4th person. We, a group of 11 people including US university presidents, their spouses, and colleagues, were instantly charmed by the warmth that greeted us as we entered this 16th century era chateau turned into a hotel. 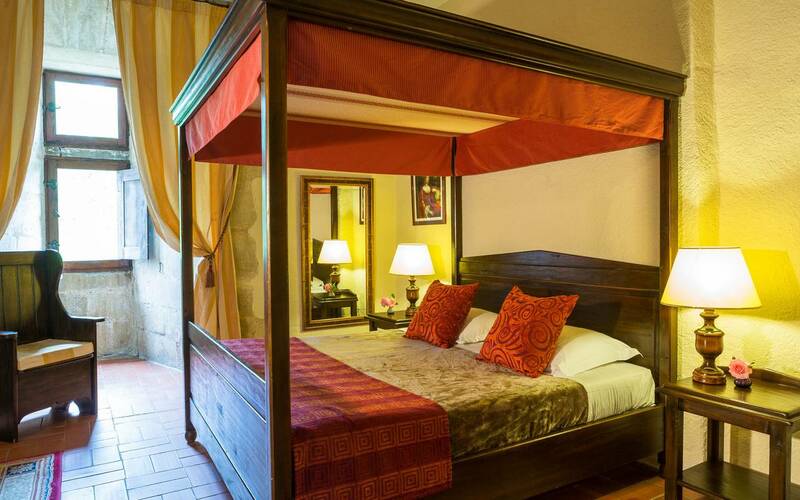 A hotel worker took us to our rooms which were comfortable and well appointed overlooking the river Aude. The meals were delicious and the owner, Vincent, was clearly a wine connoisseur who guided us as if he were a professional sommelier. The group gathered often in the evenings in the courtyard for an aperitif and conversation. Even in October the outdoor pool was refreshing. We planned to stay for 8 nights but a sudden flash flood that overtook the region interrupted our plans. The owners, Vincent and Isabel, swiftly took action, ushering us safely out and making alternate reservations at a nearby hotel. They were caring and kind, ensuring our satisfaction while in the midst of a devastating flood. They will open again in April 2019. If you are looking for a truly French experience in gorgeous country with expert hospitality, the chateau is the place to go.